The City of Wanneroo Design Review Panel (DRP) is responsible for providing the City with a range of expert advice on urban design, architecture, landscape design and sustainability aspects of proposals. The DRP performs an advisory function only. Although the DRP does not have decision-making powers, its advice will be taken into consideration in the planning assessment and conveyed to the decision-makers once a formal application for Development Approval is lodged. The DRP reviews proposals and provides advice against the relevant planning framework and the 11 principles of good design outlined in Local Planning Policy 4.23 Design Review Panel. 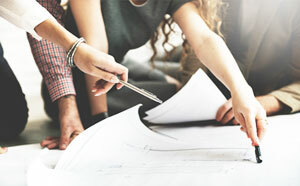 Design review offers applicants the chance to seek technical feedback and resolve complex issues to achieve the best possible design outcome, before lodgement of an application for development approval. The DRP will draw from a pool of eight external professionals, including a Chairperson and seven fellow DRP members. DRP members are appointed by the Director Planning and Sustainability, in accordance with the Design Review Panel Terms of Reference. Which developments are referred to the Design Review Panel? Development which requires a landmark features. For further information on the types of development which are referred to the DRP, please see Local Planning Policy 4.23 Design Review Panel. If you are unsure whether your development proposal needs review by the DRP, please feel free to call the Planning Services team on 9405 5000. Please submit your DRP applications to Approval Services 10 working days prior to the date of the DRP meeting. Please note meeting dates are indicative only and are subject to changes.